12-Slot Silicone Ice Shot Glass Mold Only $10 Shipped! You are here: Home / Great Deals / 12-Slot Silicone Ice Shot Glass Mold Only $10 Shipped! 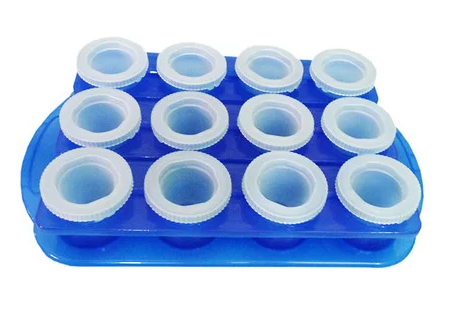 Whether you want to make Jell-O shots, frozen shots, or plain old ice, this 12-Slot Silicone Ice Shot Glass Mold will be great for you! This nifty mold freezes into small-size shots for you to fill with your favorite drink–you can even use your favorite juice to create them, too! Get the 12-Slot Silicone Ice Shot Glass Mold for Only $10 Shipped!